Spellbinding Nails: What Santa Brought Me this Year! I got my exam results this week! - I passed! Thank you for all your kind messages and support! I got for Christmas =). 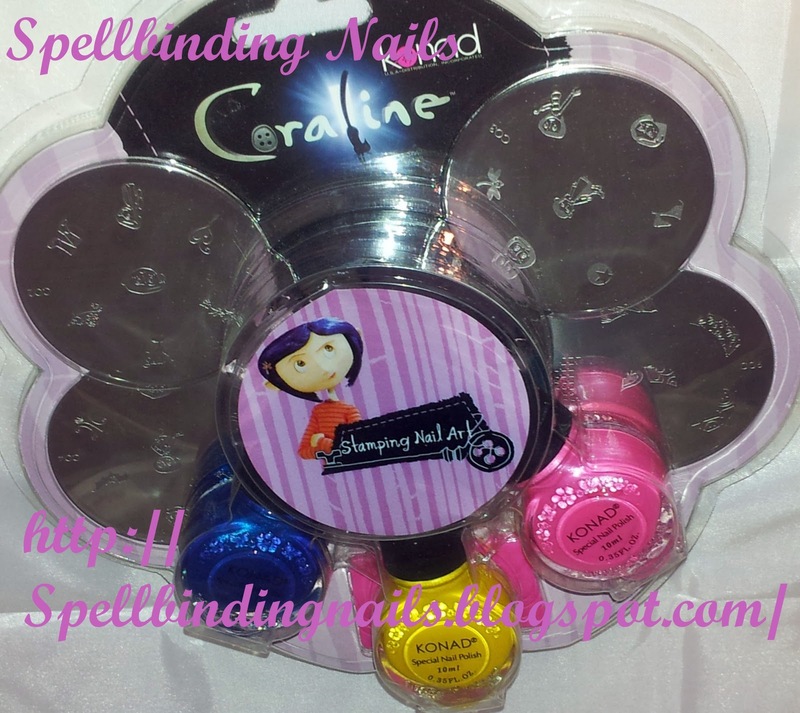 ( Above) Coraline Set A - From my loving boyfriend!. (Above) Coraline Set B - Again from my boyfriend!. - Nail Pop - Hotpants. - Nail Pop - Pearl Effect ( I <3 Flakie's). - Barry M - Lilac Foil. - Barry M - Foil Effects ( Gold). - Barry M - Foil ( Silver). - Nail Pop - Sequin Effect. - Nail Pop - Kimono. This was a present I got myself - admittedly ;-). 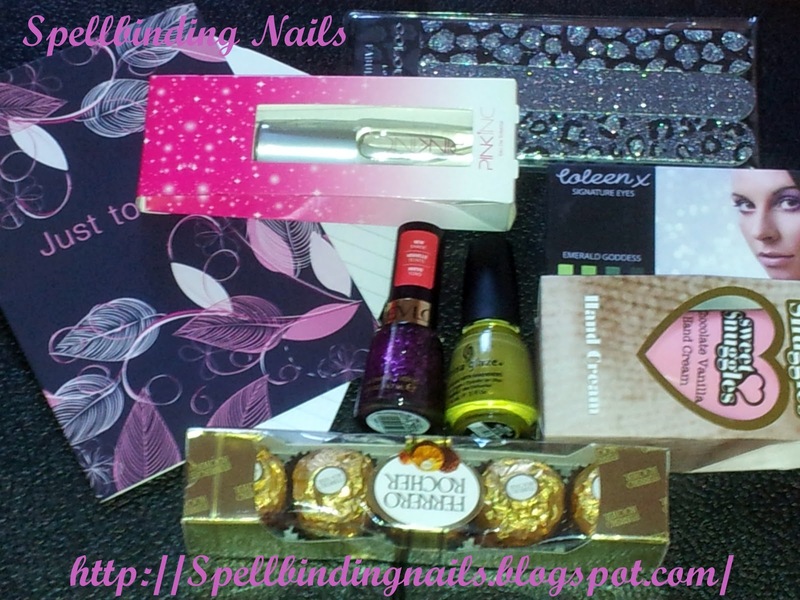 Some Nail Polish sets from Andrea Fulerton and Clubworks from my boyfriend. ( Above) SdP Plates 41 - 60 and Big SdP M & N - Another present from my boyfriend. 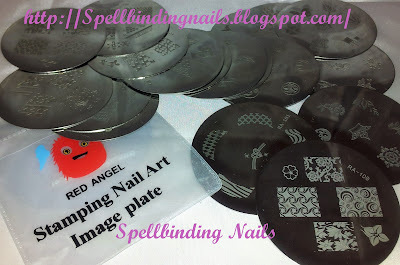 My Red Angel Plates (below) arrived - After the first package went astray =-/. some new information about them. Particularly the fairy images on RA111 and RA113. I got a lovely package from my lovely friend Michelle (Below) - After we agreed to do a festive exchange =). 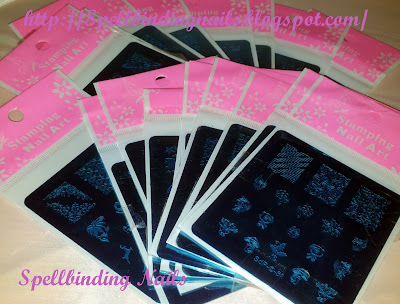 Why hello there - China Glazes Trendsetter! I also Participated in a Nail Polish Secret Santa! 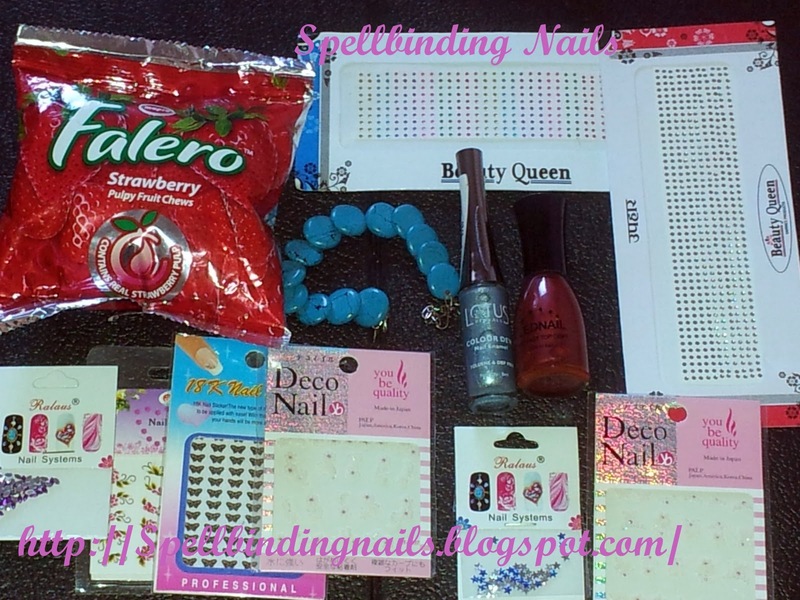 Time to work on my New Year Manicure! Wow, you certainly had a Merry Christmas! You'll need more than a year to show/use all that! such nice gifts you lucky girl. I hope you have a fantastic new year!! Wow! You sure got a lot! I am jealous of those Coraline stamping kits. I have been wanting them. Oh I want those Coraline kits! wow you made out like a bandit! I'm jellies! I just bought the Red Angel plates. I haven't used them, yet. I did take the plastic off, tho. Heh heh. I am interested to read what you have to say about them and the images you referenced in this post. Hey!!! You certainly had a nice christmas!!! Wish u a very Happy new year!!! Wow! You got some amazing gifts! HOLY CRAP marry that man!!!!! I am loving the images on XL sdpN-can I borrow it?????? 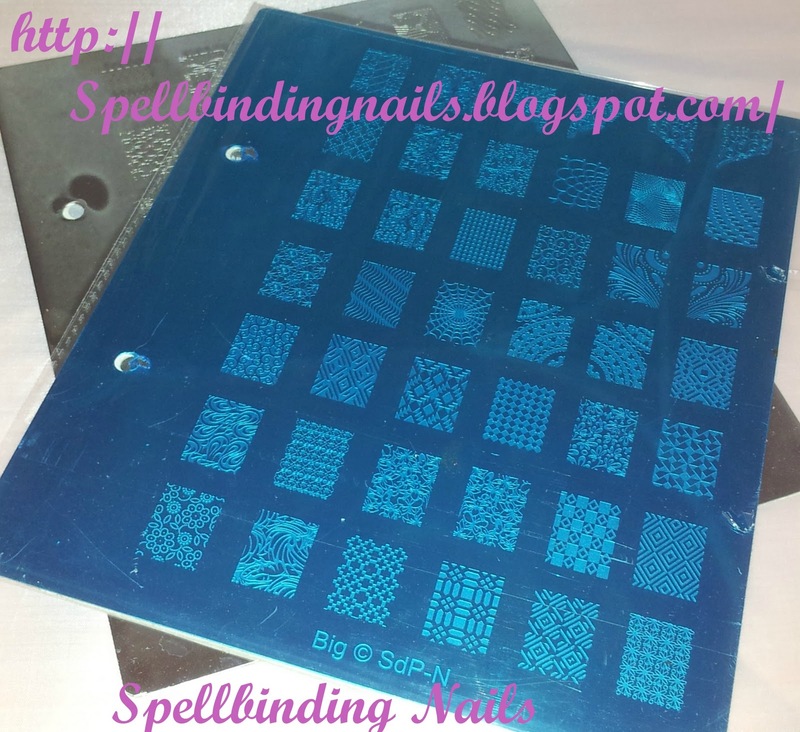 Happy New Year to my awesome friend and stamping addict!! Hi where did you get the nail pop flakie polishes?